People, who feel anxiety and panic over misplacing their phones, breaking them, or just having the thoughts of either of those things, probably have Nomophobia, which is the fear of being without mobile phone contact. When phones are constantly glued to someone’s side, the feelings (vibrations) and sounds (ring tone) become embedded into their senses. They will often begin to sense the familiar callings of their phone alerting them, when, in fact, their phone is not doing anything. This is called phantom vibration or phantom ringing, which is a proven medical problem according to Psychology Today.com. When people are separated from their phones, their outside interactions decrease and they can feel uneasy and angry. The desire to go out and socialize disappears, “I was really mad one time when I dropped my phone in the toilet,” said AHS sophomore Kyle Dupre. Cell phone addictions can also affect the people around a person. Phone use in inappropriate places such as churches or while driving a car are disrespectful and/or dangerous. Using phones at a restaurant, family event and at work or school can be considered rude. Cell phones are one of the biggest technology advances in the world. They can go anywhere, at any time, but can become an unhealthy obsession. Cell phone use, at times, should be encouraged, but they can also be considered dangerous to a person’s behavior and relationships. Relationships can be put in danger when a person is ignoring the people they spend their time with and their attitudes can change by their lack of socializing. Sophomore Tanasia Newman said, “I got in trouble one time in class for calling my dentist, but it was important.” Most of the times a student can ask a teacher to make an important call and they will give the person a few minutes at the back of the classroom or a pass to the office. Cell phones have proven to be a common addiction, but they can be avoidable. Putting the phone down once in a while to socialize and go out should help prevent teens from falling into the habit and give them more time to focus on the important things in life. 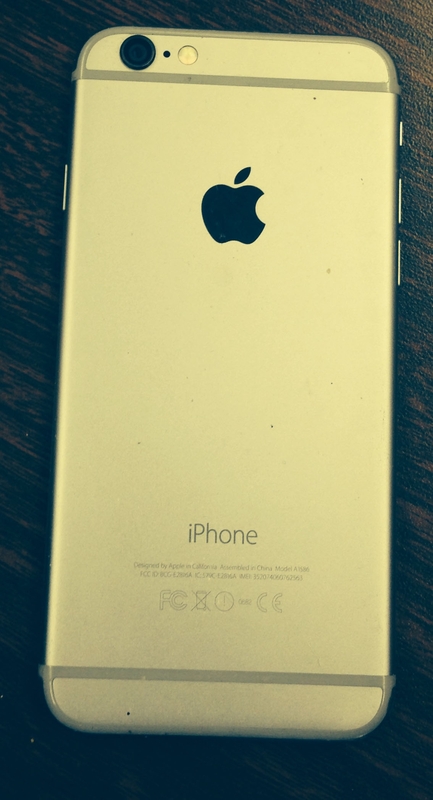 This entry was posted in Home, Teen Interest and tagged 2014-15, AHS, Allison McAndrews, Attleboro High School, Cell Phone Addiction, cell phones, iPhone on February 27, 2015 by abeeahs. Most people are not thankful enough for what they have. People in Syria are dying every day from starvation, murder and public execution. In America there laws and a government that is strict on lawbreakers. There is safety, freedom of speech, equality, and free religious practice. This is something that is wanted all over Syria but cannot be accomplished because of a war that started in 2010 about whether Bashar Assad should be president. Currently Russia is involved in helping Syria against the terrorists. This war should not have taken this long because there have been way too many casualties including many innocent people being murdered. Every day there is a martyr who is a person who’s been killed for a reason. These individuals are beheaded and made fun of by Islamic State of Iraq Syria (ISIS), which is a cowardly act by men who have no morals. ISIS is terrorizing Syrian residents, people around the world and killing the innocent. Many Syrian residents have fled to the U.S., including the Al Khatib family, who moved to Attleboro, Mass. and opened a store, called Baba Ghannooj, which sells homemade Mediterranean food. It is located at 661 Washington Street in Attleboro. This family is thankful to have a home in the U.S. where they are not around war and violence. Their store is very welcoming, with no limits on what can be bought. Third world countries are defined as the underdeveloped nations of the world, especially those with widespread poverty which are not like the U.S., are behind in the worst situations because their residents are mostly uneducated and poor. In these countries the people have to fight harder to survive. Some governments are so corrupt that people are able to bribe the law. Bribery in the U.S. is illegal and if someone is convicted the consequences include prison sentences and/or embarrassment on the news. America, be grateful for running water, electricity, your unlimited supply of food, no bribery, no religious wars, and your protection against terrorists and violence. This entry was posted in Home, Opinion and tagged 2014-15, America, Chad Estephan, ISIS, Opinion, Third World Countries on February 27, 2015 by abeeahs. The Yearbook Club is currently rounding up this year’s senior pictures, quotes and activities sheets for the 2015 Tattle Tale. Each member of the senior class must provide a picture, a quote and an activities page that highlights what they have done over their Attleboro High School career. Each of these items is essential in order to create a yearbook that is cohesive and brings the school together. Seniors who have not turned in these items should have received a blue slip in one of their classes. It is imperative that these slips are returned to Health teacher Mrs. Nancy Krieger in room 118A as soon as possible. Those who are not seniors should keep in mind that they will have to do these things in the future. Many juniors consider taking senior pictures through separate photographers. Those who plan on doing this should have their pictures taken well in advance of the Dec. 1 deadline. Most seniors have photos taken in the summer after their junior year or early fall of their senior year. An example of a senior quote is, “Happiness can be found, even in the darkest of times, if one only remembers to turn on the light.”-J.K. Rowling. An example of an activity is basketball. This entry was posted in Events & Activities, Home, In & Around AHS, Teen Interest and tagged 2014-15, AHS, Attleboro High School, Attleboro yearbook, juniors, Sarah Nordberg, Senior year, seniors, Yearbook on February 27, 2015 by abeeahs. Around the country many sophomores and juniors have the opportunity to go on a life-changing leadership and community service trip to Cambodia. The East-West Center organized The Partnership for Youth in Cambodia, which is a global leadership summer abroad program. “Every place we went we spent time in local schools teaching lessons, answering questions about our lives, and learning lots of awesome games,” said 2014 Attleboro High School (AHS) graduate Carlee Russell, who participated during her sophomore year. As part of this leadership trip the students will be working on the “safe drinking water” project and they will participate in a one week home-stay with a Cambodian family. During the home-stay the students will help teach English to local students. “To live with and engage in a community far outside what is typical travel was an opportunity I could never pass up,” said 2013 participant Dr. Mike Janicki, who now works at South Shore Vocational Technical High School in Hanover, Mass. The “safe drinking water” project meets a critical need in Cambodia where a lack of access to safe drinking water is a major problem. The system, which has been operational since July 2013, is providing safe drinking water to more than 700 schoolchildren and empowering them to lead healthy and productive lives. “We also did a great deal of service ranging from building houses and roads to installing water filtration systems,” Russell said. 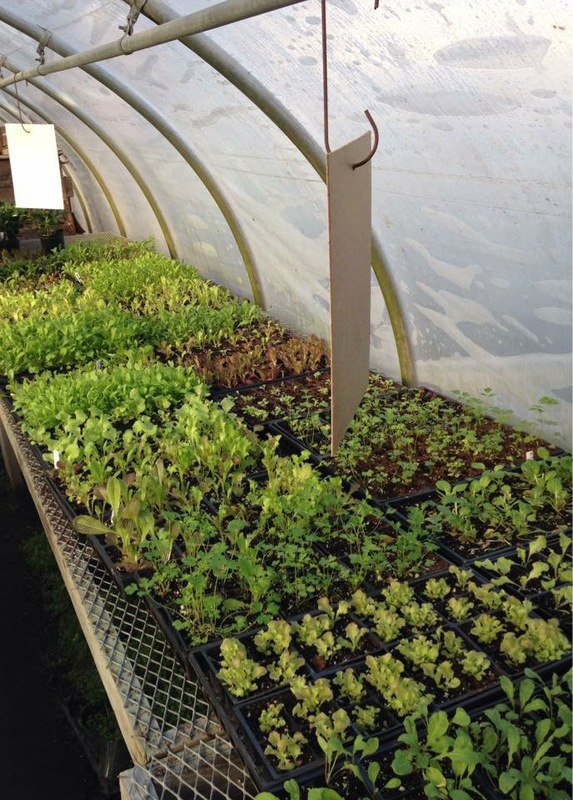 “At first I saw it as something I would never be able to do on my own; I saw it as a unique immersion program,” said Janicki. “I had more things in common with some of the students I met there than I did at home,” Russell said. This summer not only will students work on the “safe drinking water,” project, they will also be able to visit many tourist locations like the Extraordinary Chambers in the Courts of Cambodia (ECC), which was established with UN support to prosecute the most senior Khmer Rouge leaders for genocide, crimes against humanity and other serious crimes. “We ate breakfast and dinner together every day and we played games after dinner. I would teach my Cambodian dad some English words while he would drink a coke and the whole family would laugh when I failed horribly at Khmer,” said Russell. The students will travel to Siem Reap, a former Khmer Rouge stronghold and home to the spectacular Angkor temple complexes, and visit the Angkor Wat and other world heritage sites dating from the nineteenth to the fithteenth century. “This trip is what inspired me to be an International Affairs major helping me to go to George Washington University and to hopefully spend the rest of my life hopping around the world learning about as many different cultures as I can,” Russell said. Upon completion of this project, visiting students will receive a certificate of accomplishment signed by the president of the East-West Center along with an official confirmation of students’ participation in 30 hours of community service. “That trip showed me more than anything that a smile is truly universal and happiness knows no restrictions,” said Russell. “We spent a day in the U.S. Embassy talking with U.S. diplomats about the increasing problems in Cambodia and what it is like working in the Embassy,” Russell said. “The program develops a wonderful amount of independence, confidence and empathy; they have a great sense of themselves and the world around them,” said AHS History teacher Mr. Tobey Reed. The program participation fee is $2,580 and covers everything but the roundtrip airfare from the U.S. to Phnom Penh and the Cambodian visa, which is $20. 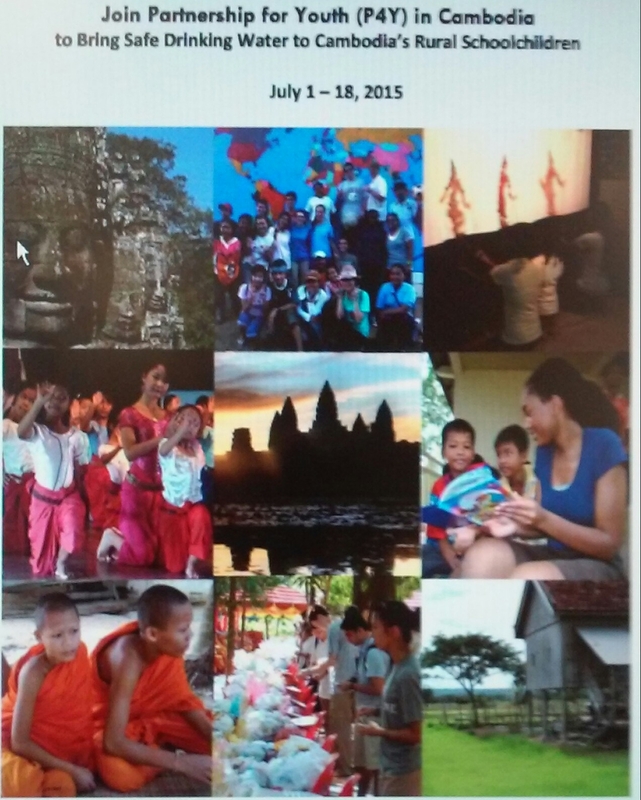 All participants must arrive in Phnom Penh on July 1 and depart on July 18. This entry was posted in Events & Activities, Home, In & Around AHS, Teen Interest and tagged 2014-15, AHS, Attleboro High School, Cambodia, Cambodia trip, Hunter Wain, Safe Drinking Water on February 27, 2015 by abeeahs. 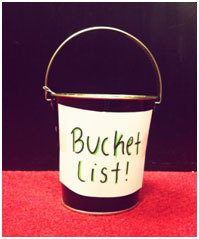 Having a bucket list can motivate a person to fulfill goals and make dreams come true. Creating a bucket list and making it a reality could lead to a more memorable life. “Life has no limitations, except the ones you make,” said former politician, author, and television host Les Brown, who is currently a motivational speaker. Brown often uses the catch phrase, “It’s possible,” to spark a flame in people to conquer achievement and live life to the absolute fullest. People tend to repeat the same routines. Start shaking things up and begin checking those bullet points off personal bucket lists. When thinking about things to do before dying, think about these questions: what is important to accomplish, what experiences are worth living out, would having unlimited time and money change anything and what needs to be done to lead a life of extraordinary meaning? Another AHS student, freshman Gabi Mcalister, said that she’s never actually made a bucket list but is thinking about it now. She thought making one would be a fun. Inspired by the idea, she said that she would like to try scuba diving. Other ideas include running a marathon, pursuing a passion, seeing the pyramids in Egypt, writing a book, going to space, sending a message in a bottle, spending New Year’s Eve in New York City, being in a movie, saving someone’s life, meeting someone famous, being completely out of debt, and even going to the Olympics. To set goals, receive tips, see how others have achieved their goals, and become inspired with people sharing the same goals, visit bucketlist.org. So whether it’s sky diving or going to space, everyone needs life goals. Be brave enough to pursue a bold adventure and live. This entry was posted in Home, In & Around AHS, Teen Interest and tagged 2014-15, AHS, Attleboro High School, Bucket List, Natalia Wroblewski on February 14, 2015 by abeeahs. Legend says that Valentine’s Day started in honor of Juno, the queen of the roman gods and goddesses. The names of Roman females were put in to a jar and the Roman males would pull a name from the jar and then would be partnered with that person for the festival. Valentine’s Day is right around the corner; ladies are excited to see what their guy has planned for them. Under all the excitement, they often forget to plan for him. Guys have it easy, roses and chocolates and they are all set. Guys aren’t as easy. 141 million Valentine’s Day cards are exchanged, that’s not even including the cards that children hand out in class. Girls don’t get stressed out over Valentine’s Day; keep in mind his favorite hobbies and activities. Don’t forget to top his gift off with his favorite candy, because Valentine’s Day isn’t the same without a sweet. 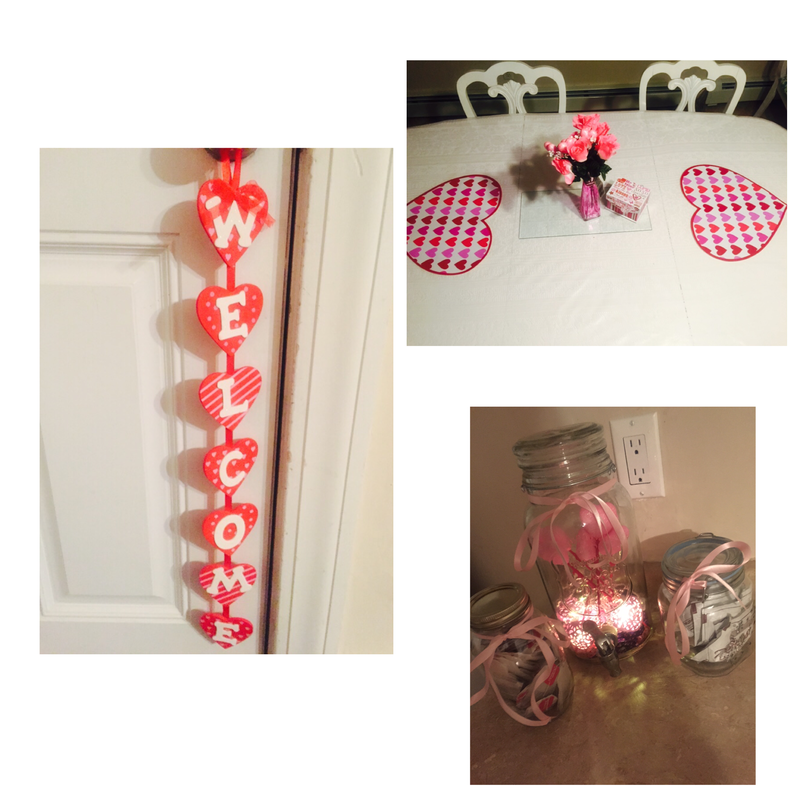 This entry was posted in Home, In & Around AHS, Relationships, Teen Interest and tagged 2014-15, AHS, Attleboro High School, Charlotte Stanley, Holiday, Holidays, love, Valentine's Day on February 13, 2015 by abeeahs.